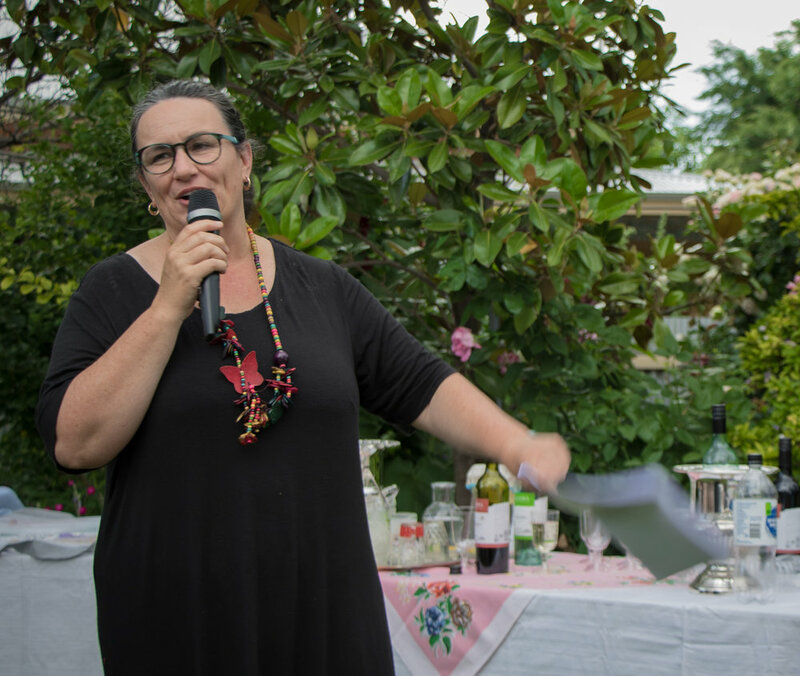 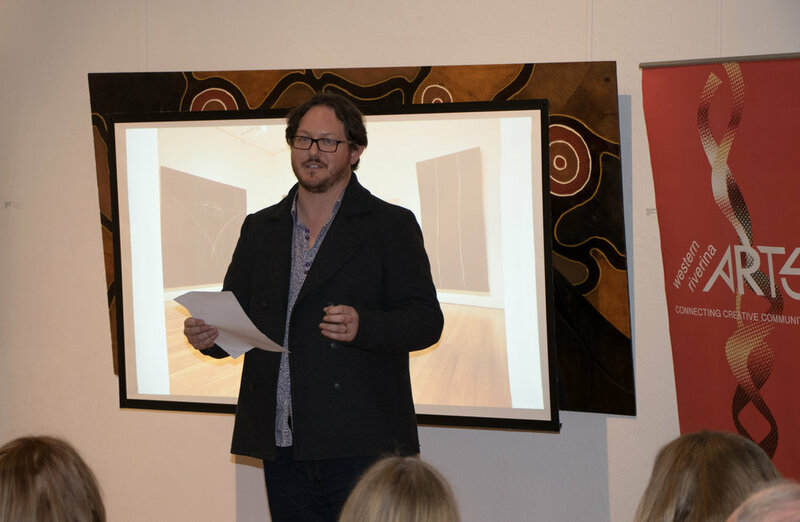 Part of Western Riverina Arts' mission is to engage members of our local area and create connections for a thriving arts and cultural community. 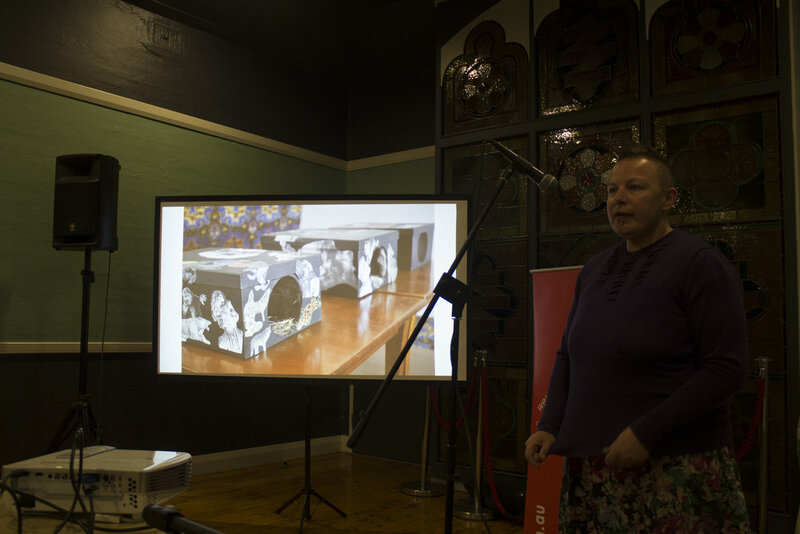 One way we achieve this is by holding regular arts networking sessions in various towns throughout the Western Riverina region. 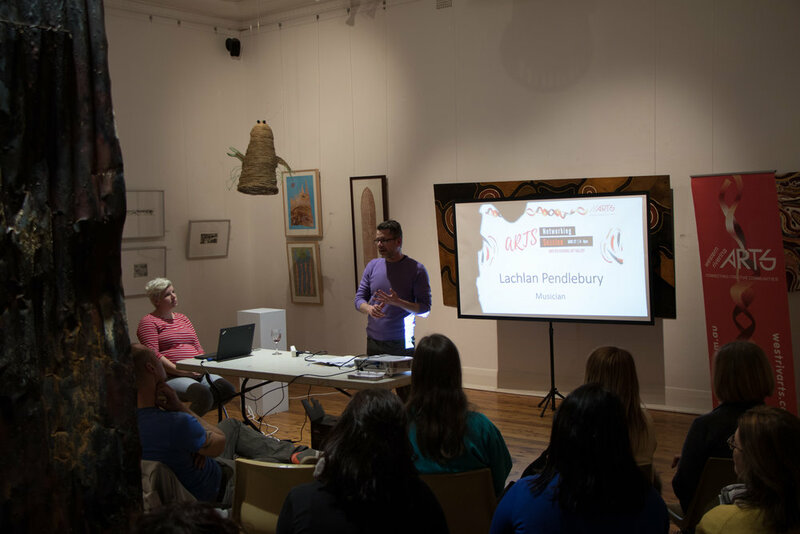 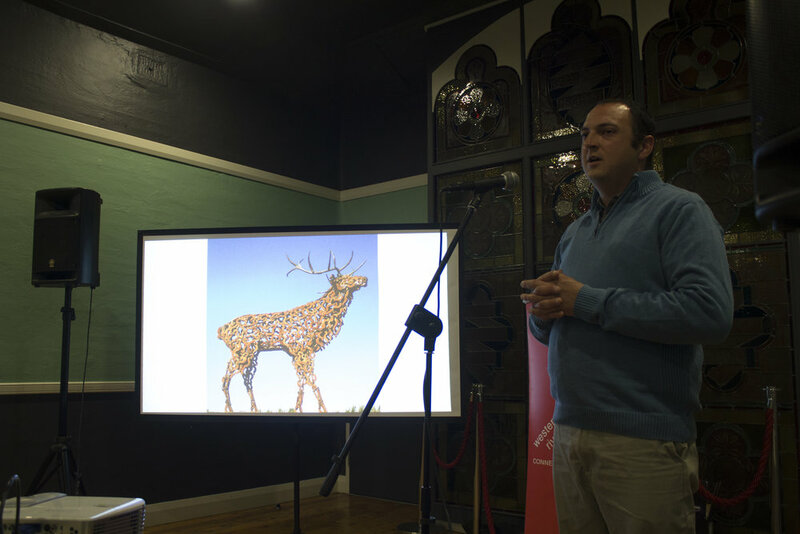 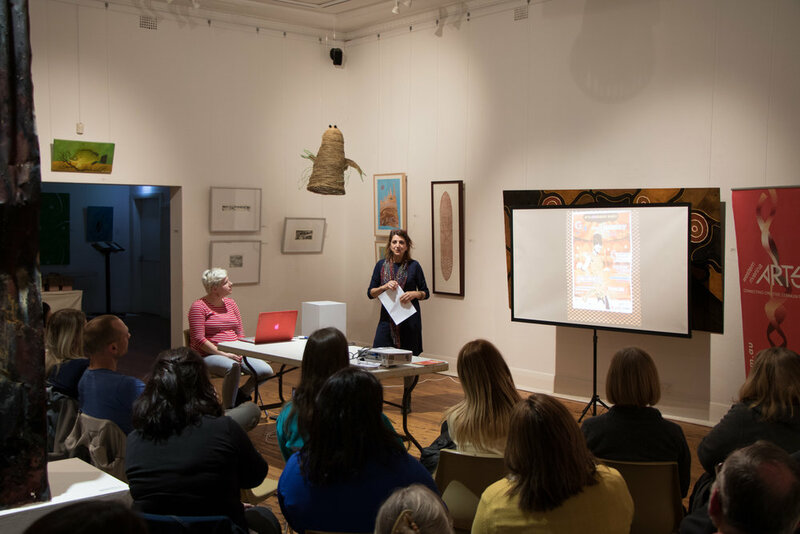 In 2017 Western Riverina Arts hosted three arts networking sessions in Leeton, Griffith and newest member of our area, Jerilderie, which recently joined the Murrumbidgee Shire Council. 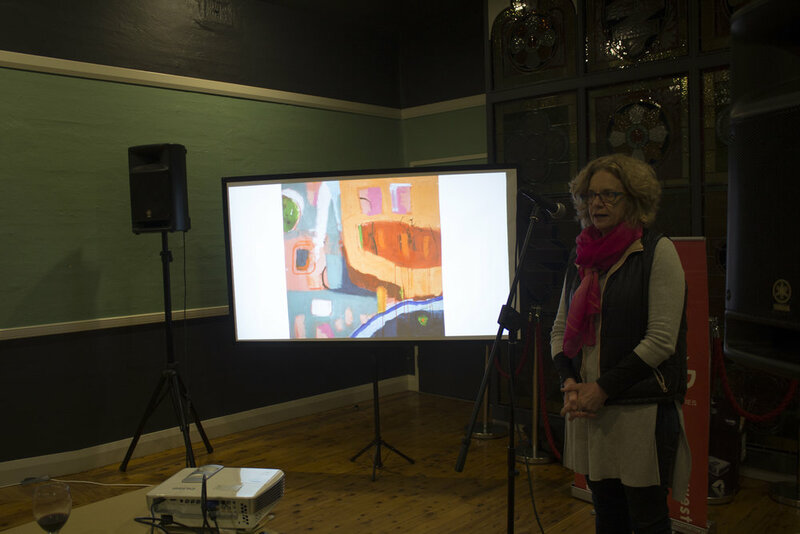 A total of 14 guest speakers presented at these events, each of them local artists or creative practitioners from their respective towns/city. 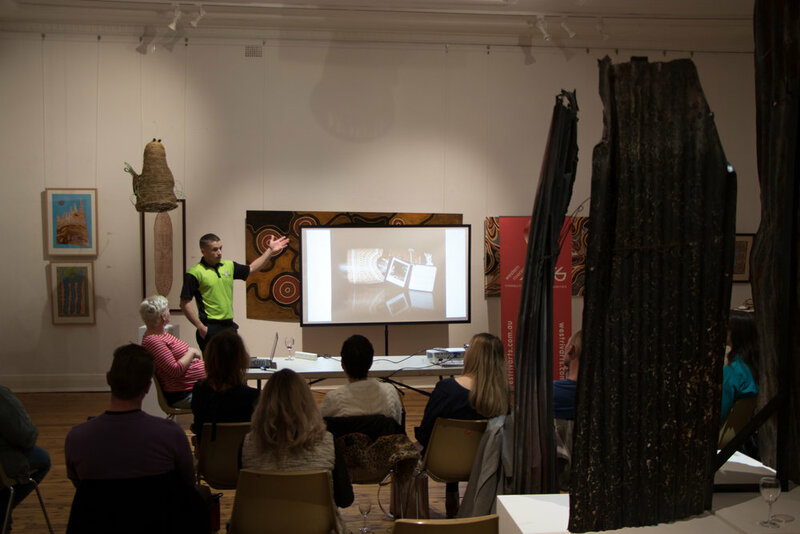 They provided insight into their practice and current projects. 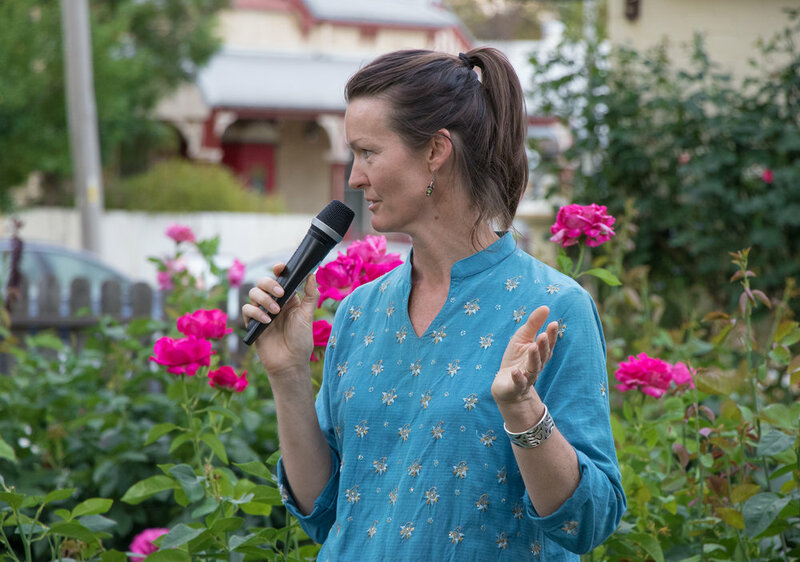 Our Arts Networking Sessions were well attended by the community with Jerilderie hosting the largest audience of 34 guests. 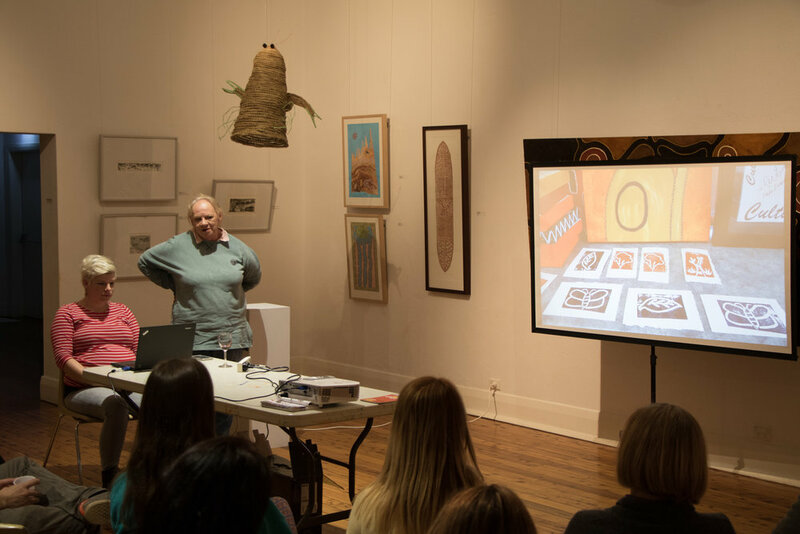 The sessions were held at the Leeton Multipurpose Community Centre, the Griffith Regional Art Gallery and in the gardens of "Ye Olde Bank" Jerilderie, which was kindly supported by Roy and Beth, owners of the premises.